Thank goodness we are not forced to paddle upstream against the current. As a small business (any size business actually) we are being swept along with the ebb and flow as technology advances and best practices dictate. Friends, we are all subject to greater forces than ourselves. No matter your feelings for the likes of Google, Facebook, Twitter, etc., their choices and course affect how we are able to make use of these platforms. Take it as a consolation that the unpredictable ride is an exciting one and that it pushes us all toward a place where we all must ultimately go if we hope to survive. Firstly, you know all about Google+, right? Due to the forces mentioned above and as prudence would have it, we have implemented a company-wide change worth mentioning. 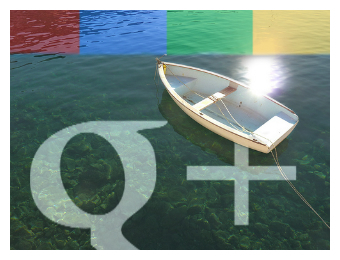 Last week we began building and launching Google+ business pages for all of our clients. We, like most in this industry have been participating in Google’s new darling social network. We have watched and we’ve waited for something that would indicate that NOW is the right time to jump in. Of special interest to us was the day that Google finally allowed businesses to create profile pages on Google+. Still, we didn’t feel the need to implement mass adoption; there was not enough evidence that any business value could be derived…yet. Without boring you to tears by going into too much detail, I will explain our decision to build Google+ pages for all of our clients thusly: Our mission is to make our clients THE source for what they do in THEIR market. Google search results drive 80+% of traffic to our client’s websites. Therefore, in order to optimize all of our client’s web presences we MUST be active within Google+ on their behalf. It is a well-known fact that ALL social media participation influences search results. No longer can we ignore these communication networks and pretend that we can get by without investing in them pro-actively. If search results have an impact on your bottom line and your business needs to be found locally…social media participation is a must for your business. We fully understand that many small businesses are quite confused by all of this. We also empathize with those who do understand but can’t find the time to be as pro-active as they should be with their digital marketing efforts. All of this is in fact the reason that we exist. Let us know if we can help you out in any way. We’d love the opportunity to speak with you about how TrustWorkz, Inc. can help you grow your business.